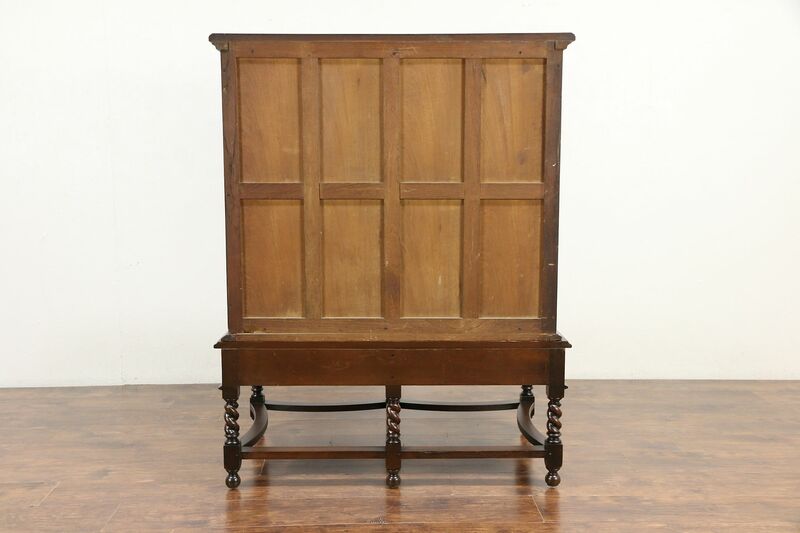 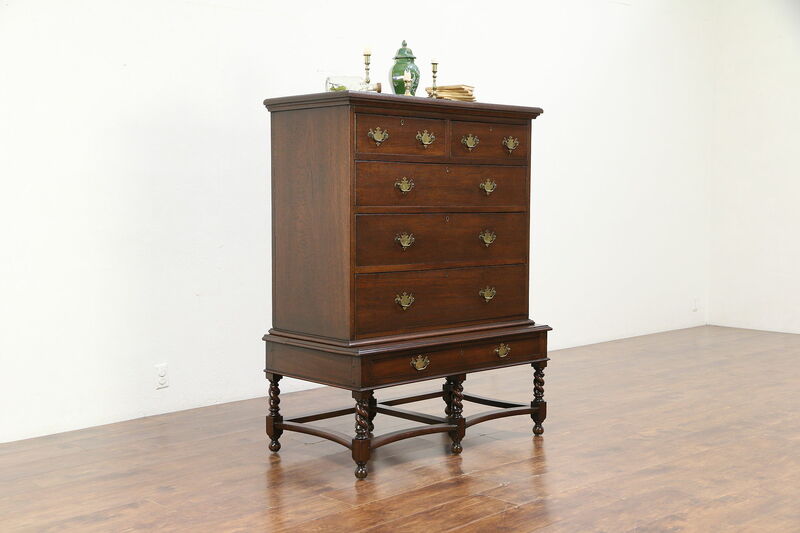 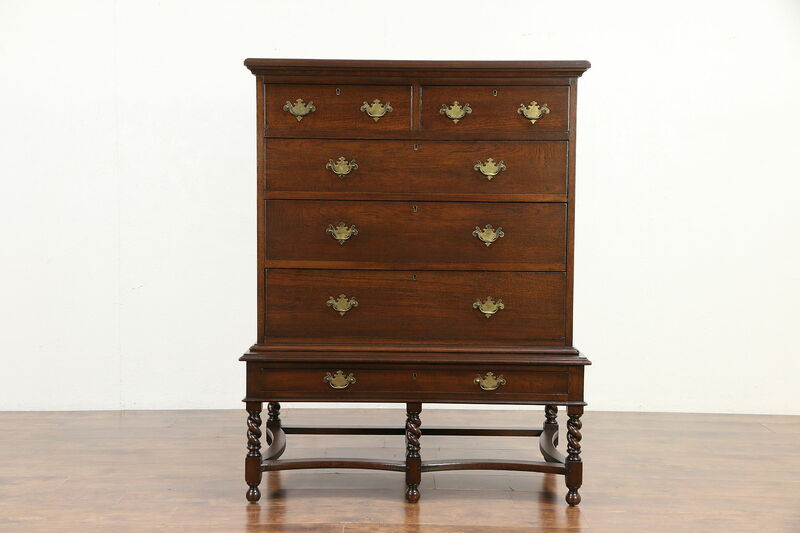 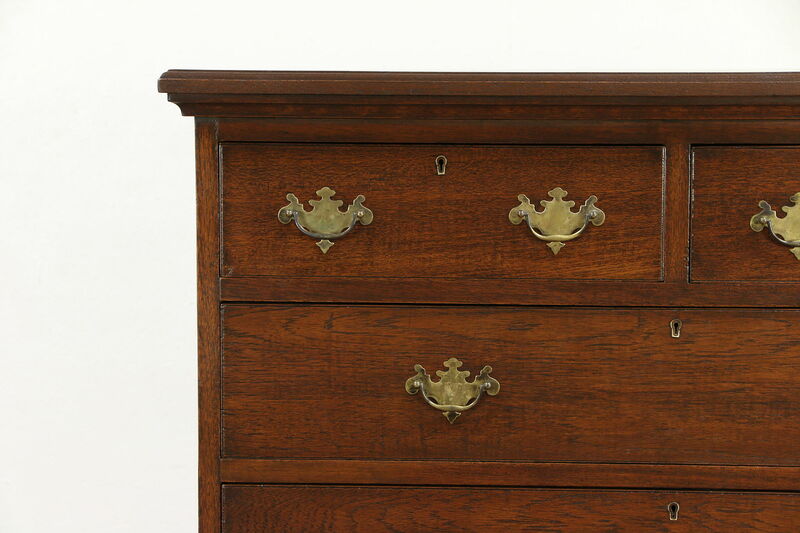 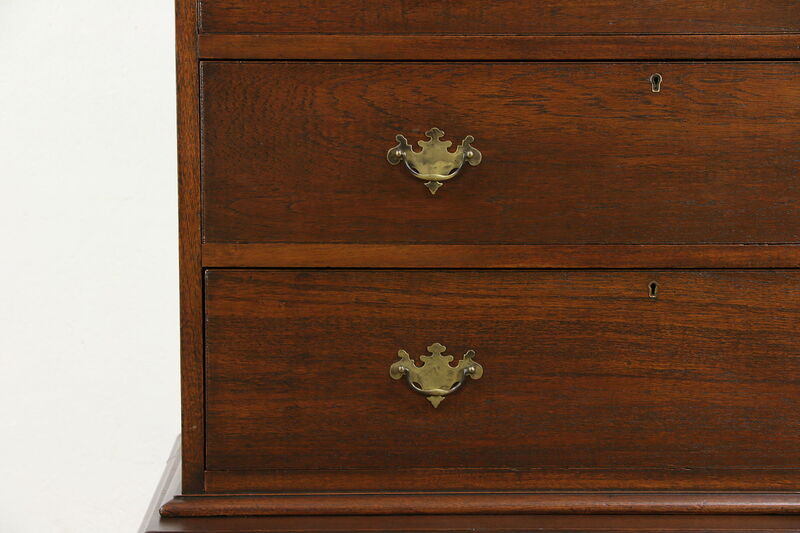 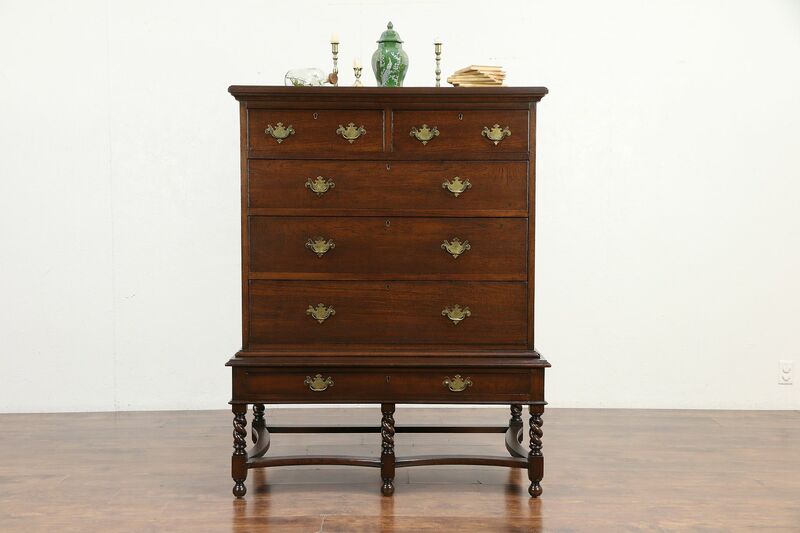 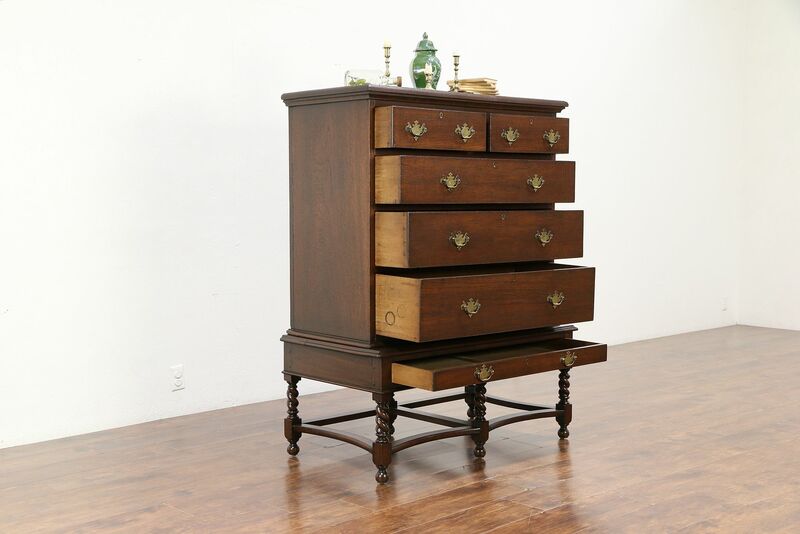 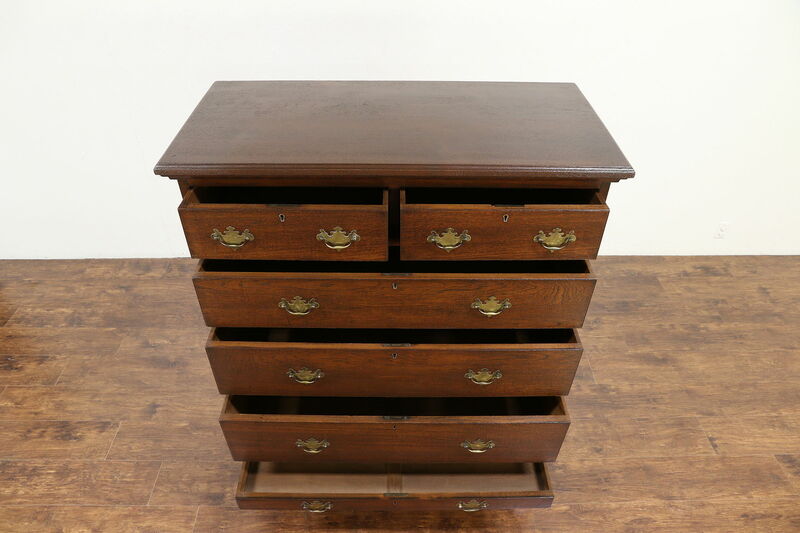 An English Renaissance style tall chest of drawers or dresser was hand crafted of solid oak about 1890. 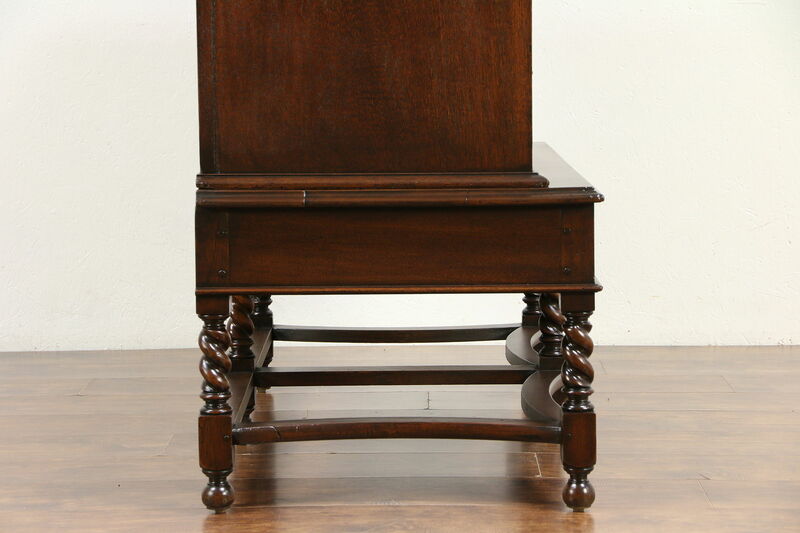 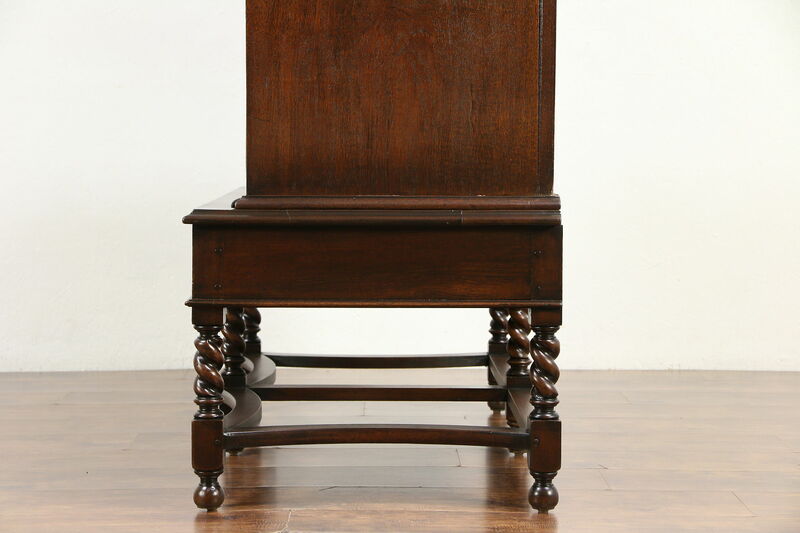 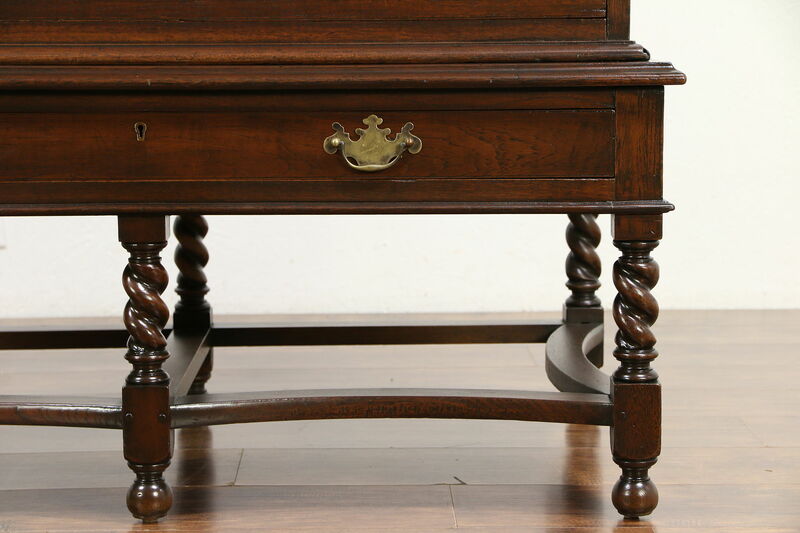 Hand crafted in England, the separate base has spiral column legs. 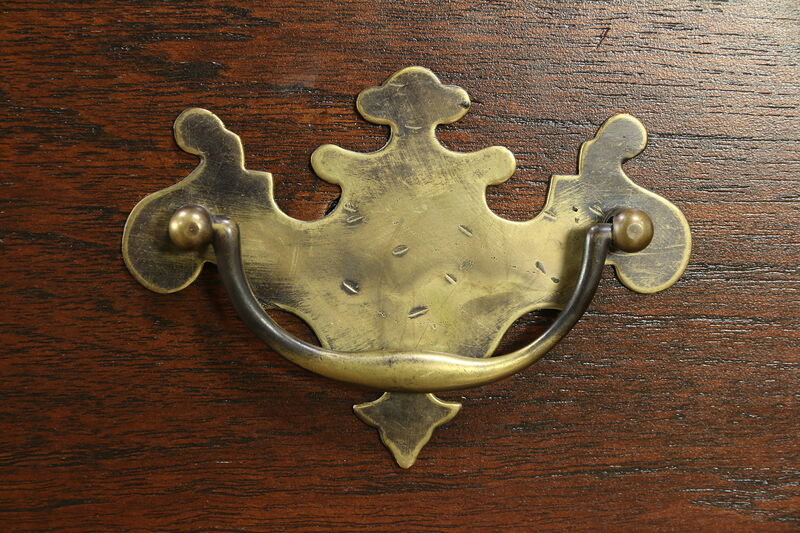 There is an indistinct signature on the brass locks, but no keys. 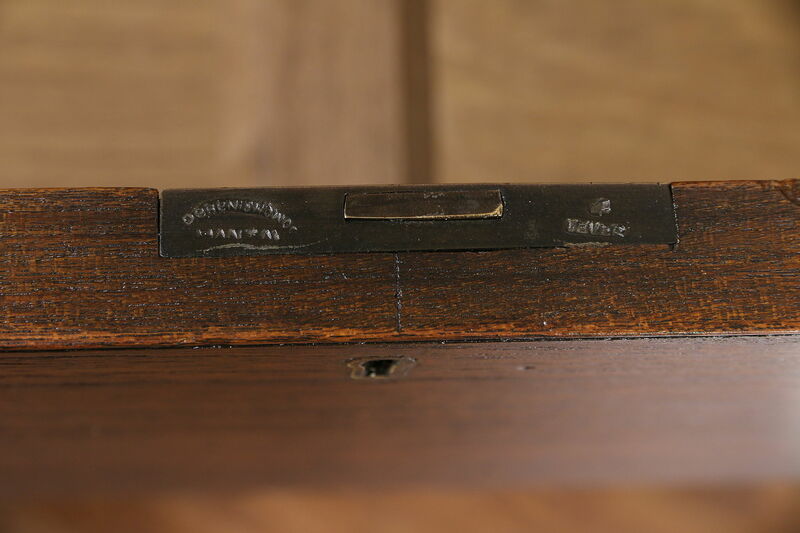 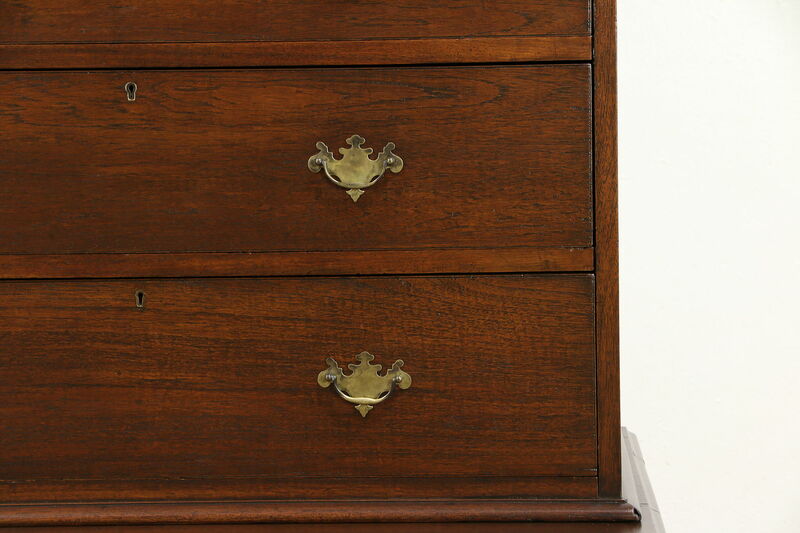 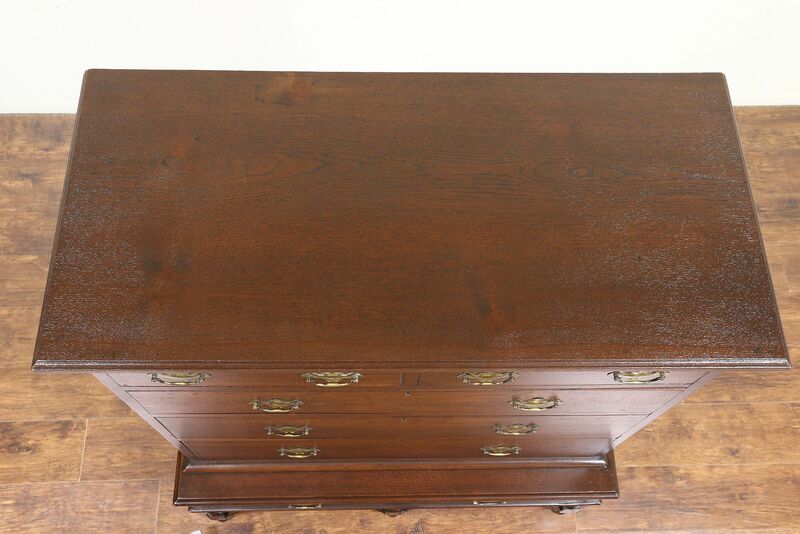 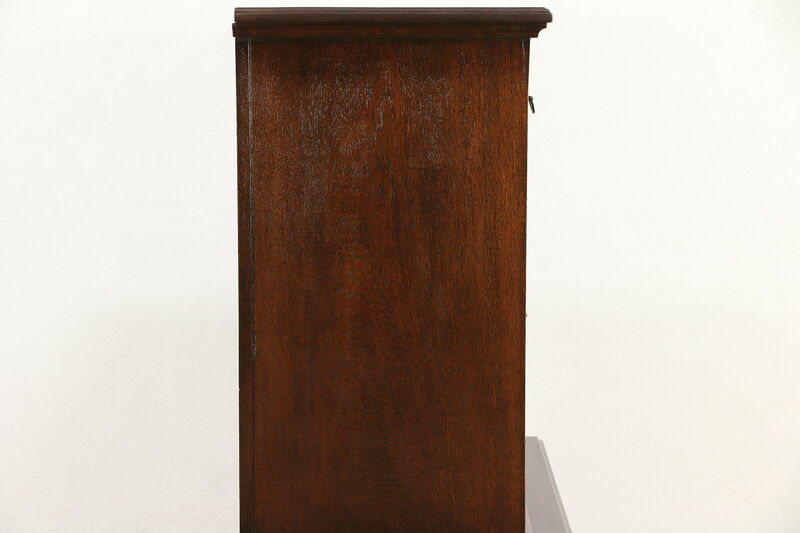 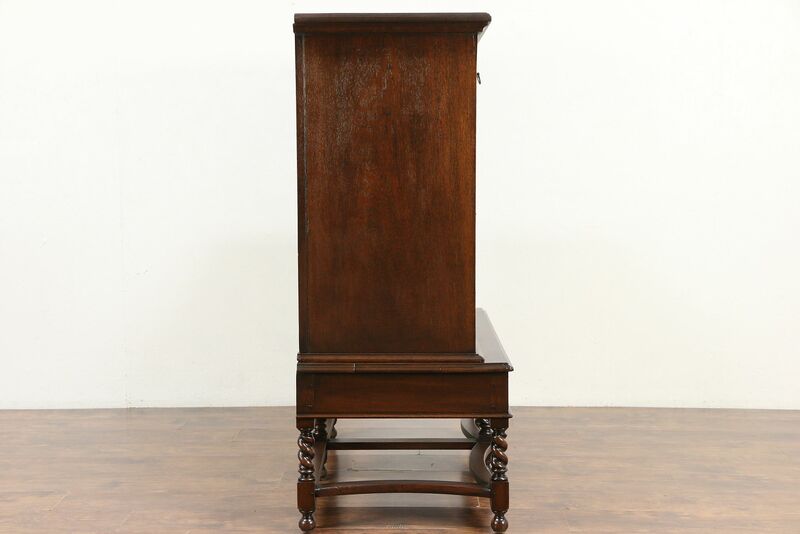 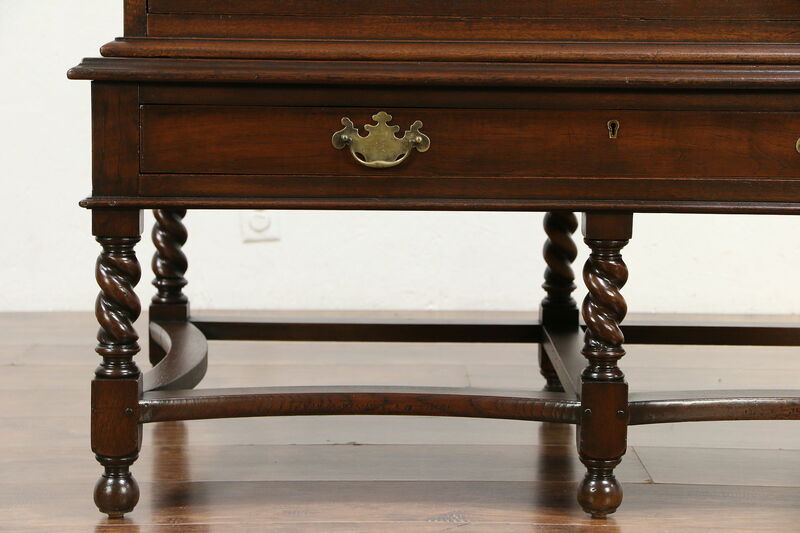 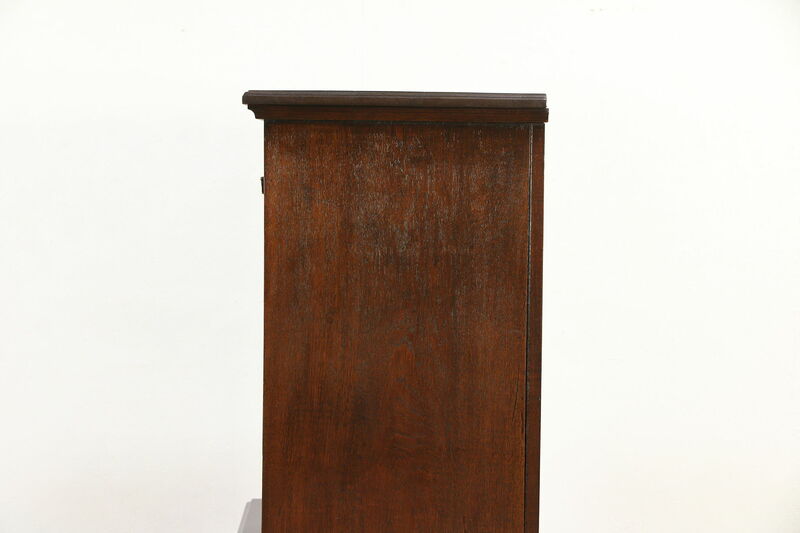 The restored finish is in excellent condition on this antique furniture. 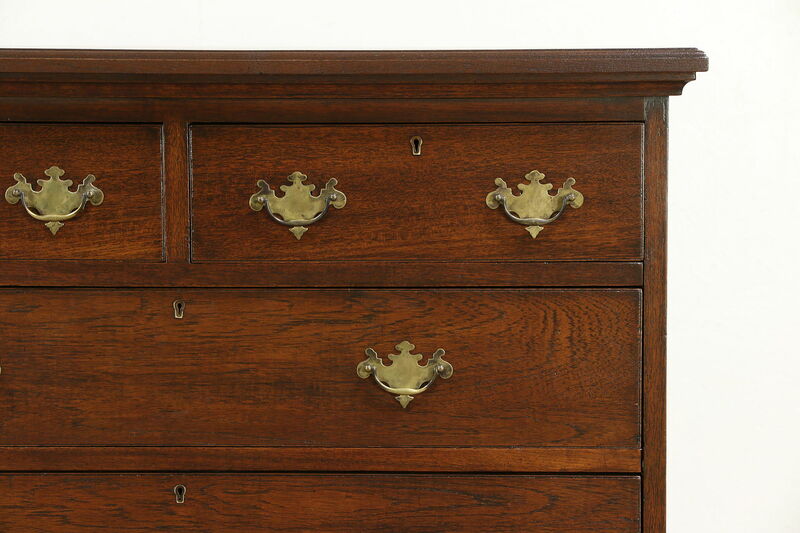 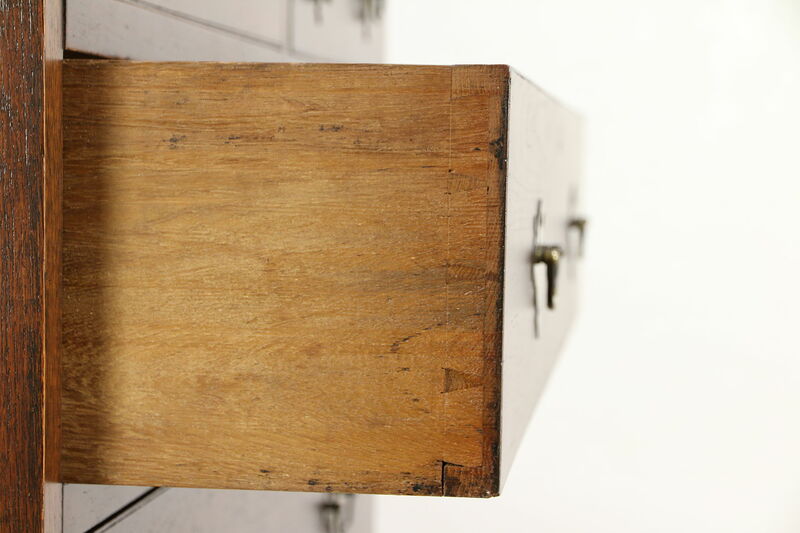 Pulls are solid brass, drawers have tiny hand cut dovetail joints and solid oak sides. 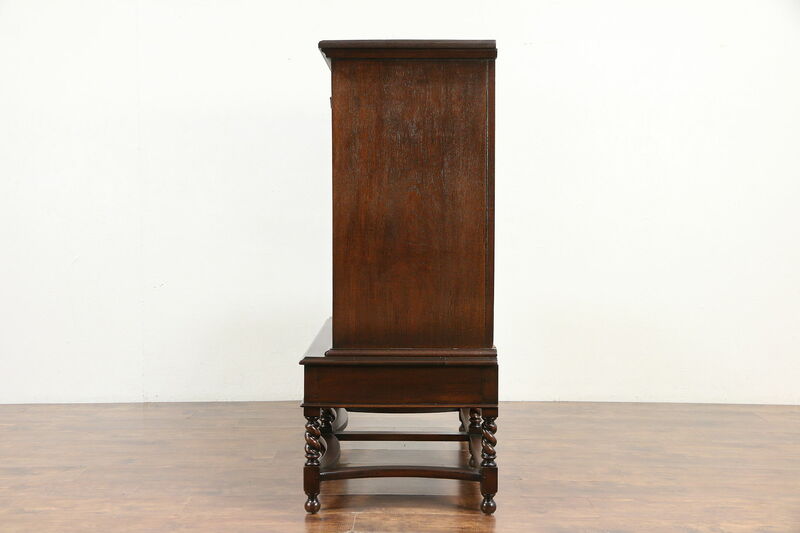 Measurements are 45" wide, 24" deep and 57" tall.